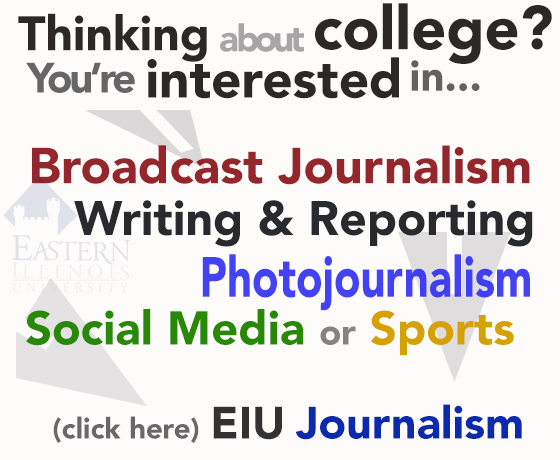 The Daily Eastern News is produced by the students of Eastern Illinois University. It is published daily Monday through Friday in Charleston, Ill. during fall and spring semesters and online during the summer. The Daily Eastern News is committed to accuracy in its coverage of the news. Any factual error the staff finds, or is made aware of by its readers, will be corrected as promptly as possible. Please report any factual errors you find by e-mail, phone, campus mail or in person. The Daily Eastern News has the right to delete any comment we deem to be profane and/or contain racial or sexual slurs or threatening language. The Daily Eastern News encourages readers to submit letters to the editor on topics of campus and community interests. Letters shouldn’t be more than 250 words. Letters must include your name, phone number, and grade level or title. Without it, they will not be considered for publication.